We're off and running in the 2018 FootJoy Walk of Champions and can already hear the collective thud of Hole19ers across the length and breadth of the UK and Ireland as they start logging their steps in pursuit of some truly awesome prizes from the good people at FootJoy. With this year's competition barely out of the starting gate, there's no time like the present for you to sign up and be in with the chance of winning some awesome premium golf gear. Prizes just for playing golf? Yep, you heard us right. What's more, when you sign up today you're immediately a winner with a massive 20% discount on an annual game-enhancing Hole19 Premium subscription. In the five-month-long competition, golfers galore will be rewarded with weekly and monthly prizes from FootJoy, as well as an ultimate grand prize of a 'FootJoy Experience Day' at a Top 100 venue going to those golfers who have logged the most steps. You can see one of last year’s winners video of the Grand Prize here. As the contest progresses you could win quality FootJoy socks, sure to add comfort to your golf game. 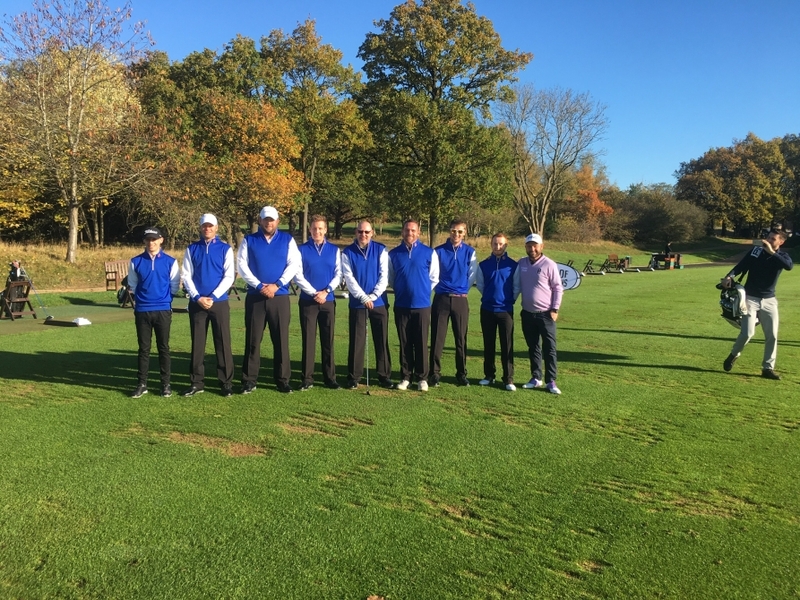 If not, perhaps you could be rocking the latest performance golf shirt or maybe even perfecting your grip with a market-leading FootJoy golf glove. On top of all that, pairs of expertly designed and immensely impressive Pro/SL and Tour-S FootJoy golf shoes are also up for grabs; there really is something for every golfer. To be in with a chance of bagging these quality prizes it really is as easy as 1, 2, 3. 3. Have your trusty Hole19 app in tow during each round of golf. As if that all weren't enough there's an added special surprise for this year. Exclusive to the 2018 FootJoy Walk of Champions, there are two 'wildcard' entries into the FJ Experience Day and these could be won by anyone who signs up to the competition irrespective of the number of steps logged. 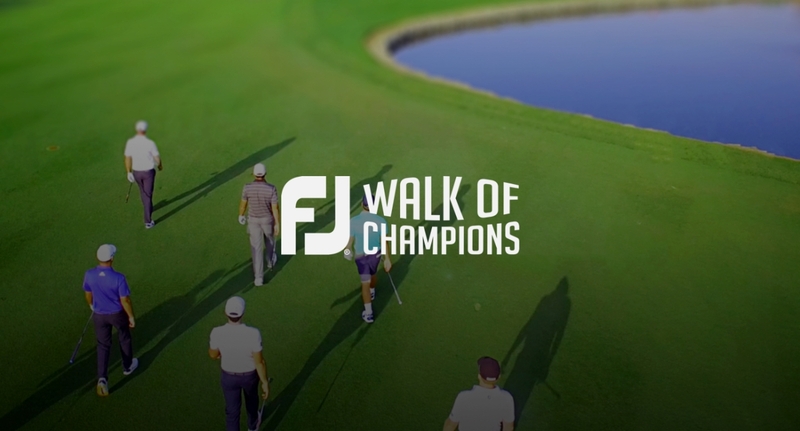 For further information and to have a look at the FootJoy prizes up for grabs, you can visit the Walk of Champions page. 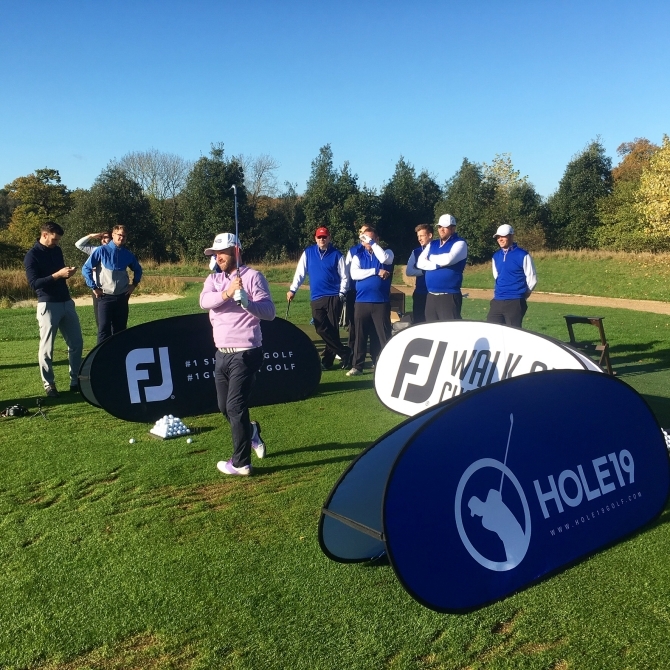 So get reaching for that sign up button because the time is now to delve into a great season of golf with Hole19 and FootJoy in a competition where 'Walking Wins Prizes'. Here are some images of last year's competition winners. You can be one of them this year! If you're not a Hole19 app user you can download today by clicking your app store button below.